Mary Rapa, RN and Lynn Power, RN are nurses who work at the Framingham Learning Center for the Deaf. They share their expertise in working with students who are deaf or have a hearing impairment.This presentation was videotaped at the 2017 Summer Academy for School Nurses in Hyannis, MA. 1. Identify 3 characteristics of Deaf Culture that can assist the school nurse in approaching Deaf or hard of hearing students. 2. Provide 2 examples of safety issues that can result from miscommunication in health care situations. 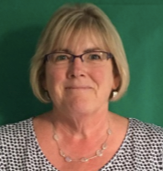 Mary Rapa, RN has been the Director of Health Services at The Learning Center for the Deaf in Framingham, MA since 2012, prior to that she worked as the evening/weekend supervisor for 14 years. She also teaches yoga to the students at Walden School, the residential treatment program within TLC. She enjoys swimming and traveling. Lynn Power, RN has worked at The Learning Center for the Deaf since 2003 as a staff nurse working evenings and weekends. Her fulltime profession is the Director of Nursing at Countryside Nursing Home in Framingham, MA. She has worked there in different capacities for 41 years. She enjoys boating and swimming. She has 3 daughters. The presenters disclose no Conflict of Interest for this presentation. There was no Commercial Support for this presentation. Northeastern University School of Nursing accredited by the American Nurses' Credentialing Center's (ANCC) Commission on Accreditation. Participants successfully completing this program will receive a statement of credit for contact hours. Statements of Credit may be printed online after successful completion of the learning assessment.